Founder of Cmax Foundation & Cmax System Inc.
Nicolas Garcia Mayor (Bahía Blanca, December 15, 1978) is an Argentine entrepreneur and industrial designer focused in humanitarian development, social innovation and environmental preservation. He worked and lived in Europe conducting various architectural and innovation design projects. Since 2000 he has been working as an Industrial Humanitarian Designer, identifying, designing, developing and implementing innovative solutions in countries in South America and abroad, including China, Austria, Spain, France, United Arab Emirates. Today, his designs travel around the globe and have been showcased in many countries. Among other recognitions, in 2014 he was awarded by JCI with Ten Outstanding Young Person of the World TOYP for his contribution to children, world peace and human rights. With his humanitarian innovation called Cmax System, he was invited to present in the 68th the United Nations General Assembly UN, in New York City. 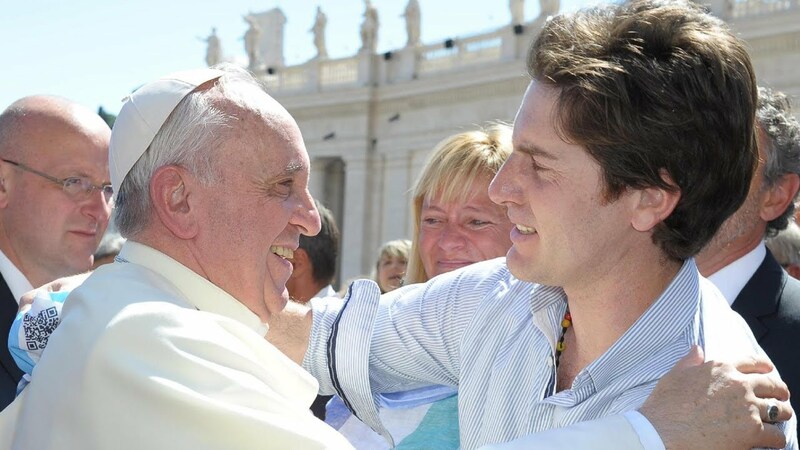 He was also invited to Vatican City by Pope Francis, who blessed his project for the humanitarian work refugees. The Government of Argentina honored him with one of the country’s highest awards “Ambassador of Argentina Country Brand” and the Senate of the Argentina Nation bestowed the award for “The Latin America Development Leadership”. In 2016, the US Government gave permanent residency status citing “Extraordinary Ability” and “Brilliant Talent”. As a social entrepreneur, he has given multiple TED (conference) around the globe and has worked as an innovation consultant for international organizations such as the United Nations (UN),the Inter-American Development Bank IADB, universities worldwide, national and local governments and NGOs. Nicolas has been a Jury of Honor of Balseiro Institute and the National Atomic Energy Commission of Argentina. Garcia Mayor has also consulted as a researcher on humanitarian needs, assessments and mitigation for Médecins Sans Frontières (MSF) International, National Scientific and Technical Research Council CONICET in Argentina, Masdar Institute in Abu Dhabi, Nigeria Future Energy Group NIFEG, Salzburg Seminar in Austria. He was also selected by consultant Marcus Evans to join the World Industrial Design Summit in Cannes and Berlin as a consultant to leaders such as BMW, Audi, Coca Cola, Google and Facebook among other companies. Nominated for 2015 Business for Peace Award, given to “business leaders whose actions and commitments constitute an exceptional contribution to the promotion of ethical behavior and peace” in Oslo, Norway. Distinction for professional achievements 2013, awarded by the Honorable Senate of the Province of Buenos Aires. Distinction for professional work 2013, awarded by the Association of Industrial Designers of Buenos Aires. JCI TOYP 2014 Honoree (Leipzig, Germany) as a Young Outstanding Person of the world for his contribution to children, world peace and Human Rights. JCI TOYP 2013 Honoree as a Young Outstanding Person of Argentina for his contribution to children, world peace and Human Rights. JCI TOYP 2013 Honoree as a Young Outstanding Person of the Province of Buenos Aires for his contribution to children, world peace and Human Rights. “Citizen Recognition” given in 2014 by the Honorable Council of Bahía Blanca, for the merits achieved in the humanitarian field. “Guest of honor” of the government of Rio Grande in 2014. “Argentine Creative” Award 2014 given by Argentine Creative Circle, award given to people who stand out for their originality and ingenuity. The same award was received by outstanding people such as: Clorindo Testa, Jorge Guinzburg, Jorge Lanata, Gustavo Santaolalla, Juan Carr, Adrián Paenza, Mario Pergolini, among others. Distinction “Development Leadership: Governor Enrique Tomás Cresto 2014 ” awarded by the Senate of the Nation for his work on behalf of their communities and the progress of society. Award “Exportar 2013” by Fundación Exportar for his contribution to national development and export of value added. Ar estudio, awarded in 2014 with the “International Star for Leadership in Quality” (ILQ) at Paris Congress Hall, France. Ar estudio, chosen as representative of Argentina in Maison et Objet 2013 industrial design exhibition in Paris, France. Award “Ambassador of Argentina country brand” by the Ministry of Tourism of Argentina. Cmax System, selected by the Argentine Foreign Ministry to represent the country at the International Forum for Development of Humanitarian Affairs 2013 held in Washington DC. Cmax System, selected by the Argentine Foreign Ministry to represent the country at the Dubai International Humanitarian Aid and Development (DIHAD) Conference 2013. UN Honored Guest to present the Cmax System at the 68º General Assembly in front of representatives of the world in September 2013. Distinction by the office of the UN Humanitarian Aid OCHA for his participation as a panelist in December 2013 in the Regional Meeting on International Mechanisms for Humanitarian Assistance in Latinamerica and The Caribbean in United Nations Headquarters in New York. Ar estudio, awarded first prize “innovative SMEs” in 2013 by the Ministry of Production, Science and Technology of the Province of Buenos Aires. Ar estudio, awarded “Innovative Company” in 2012 by the Ministry of Production, Science and Technology of the Province of Buenos Aires. Ar estudio, selected within the 15 most prominent studios in the world, by consultant Marcus Evans to join the Industrial Design Summit in Cannes 2010 as a consultant to leaders such as BMW, Audi, Coca Cola, Google, Facebook and Electrolux among others companies.